Engineering Johnson: Just 7 Weeks! Seven weeks and counting folks! 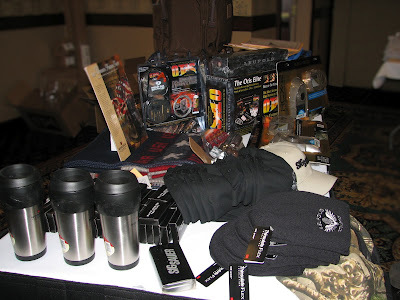 If you don’t know what I’m referring to then you had best check out this post and learn all about the Gun Blogger Rendezvous. For the last several years, Mr. Completely and Keewee have been putting on the rendezvous and It’s gotten progressively better each time I’ve attended. 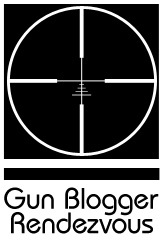 Now I know that the name implies that it’s for gun bloggers, but it’s actually a good time for anyone who enjoys shooting, hunting, competitive shooting, or even just talking about guns. We have some attendees who don’t even have a blog (and people like myself who have one but never post) and they join in the fun just like anyone else. And last but not least we have a raffle. It’s actually a very big deal. First off it’s for a very worthy cause. 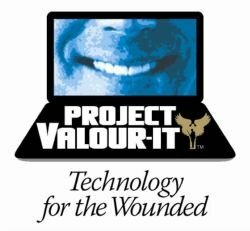 All of the money raised at the GBR goes to Project Valour-IT, a very Soldiers’ Angels program which provides voice controlled laptops and other technology aids to wounded soldiers so that they can maintain communications with friends and loved ones. If that isn’t enough of a reason, then remember, you can win cool stuff! Last year I won a pistol and several other people won firearms as well. There were pocket knives, gun gear, clothes and all manners of goodies to enjoy. That brings me to my main point for today. I’ve been in communication with Lori Petoske from Ruger and I’m making arrangements for a Ruger Vaqueros to be in this year’s raffle. What’s more, Lori came back with a very generous offer. If you’ve followed the GBR, you probably know that Lori and Bea met a couple years ago during the 2010 rendezvous. From what I hear, they had a blast! The following year Bea donated a Ruger Blackhawk like the one she enjoys shooting. Well this year Lori says she and the fine folks at Ruger are interested in donating a firearm in Bea’s Honor! We have to work out the details but it looks like there will be TWO Ruger firearms in the raffle at GBR this year. Now what are you waiting for? Go register for the rendezvous, help raise some money for Valour-IT and maybe even win a Ruger!! I hope to go this year; I had a good time last year. BobG - I hope you make it as well. I look forward to stories and photos from all of you. I'm saving my few vacation days left to spend time with Dad. EJ understands as does FarmMom and FarmDad who I had to take a raincheck on again this year for Blogorado. We all have lives that are whole and separate from family, but they are still family, and when times are hard, and days are short, we are always there. There will be other gatherings, but hopefully not too soon, as I hope to have another year or two with Dad. Hey! That's my Remington XP-100 David is firing in that picture! I'm stoked about going this year.